Following are some of our favorite reading spots from homes we have designed. We've tried to highlight the design elements in each photo that really make the reading space an inviting area for taking in a good book. One of the most important factors in a reading space is the lighting. Without adequate light, reading can be a strain on the eyes. Soft task lighting can come in the form of a sconce, small lamp, series of candles, or a classic floor lamp like the one in this living room. While natural light from windows can provide an excellent source of light during the day, light fixtures are important for nighttime or rainy days. The inclusion of reading-specific light fixtures can be the difference between a wasted corner of the room or an inviting spot to curl up with the latest bestseller. Comfort is vital when selecting the seating for a reading space. You are far more likely to use your designated reading spot if it involves sinking into a cozy armchair or love seat. 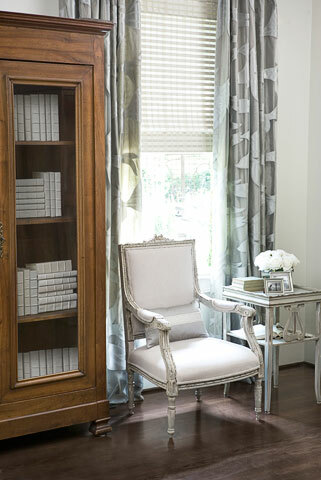 A reading area's seat should allow you to relax for an extended period of time. The chair in this living room by one of Postcard from Paris's trusted partners, Lee Industries, was specially chosen for its soft cushion and durability. Cushy armchairs like these are at their most inviting when the fabric you have selected is also really comfortable. While small side tables often go unnoticed, having a place to rest your stack of books can make a big difference in this spot. Small tables like this glass-top end table transform a seating area from a momentary perch to an area you can settle into. These pieces strike a delicate balance between being small enough not to distract from your room's look and being large enough to hold any reading space necessities - from books and notes to refreshments. The side table in this living room blends seamlessly with the room's style while providing readers a surface at arm height to hold anything they need on hand during their reading experience. 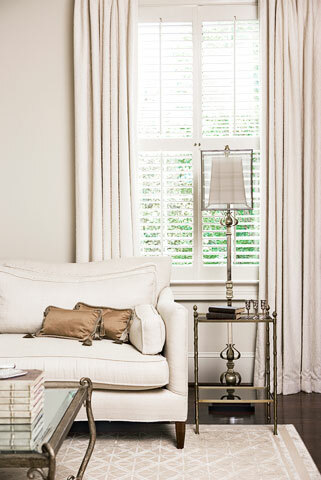 As an added benefit, any unused space on these surfaces can be used to create a beautiful vignette. 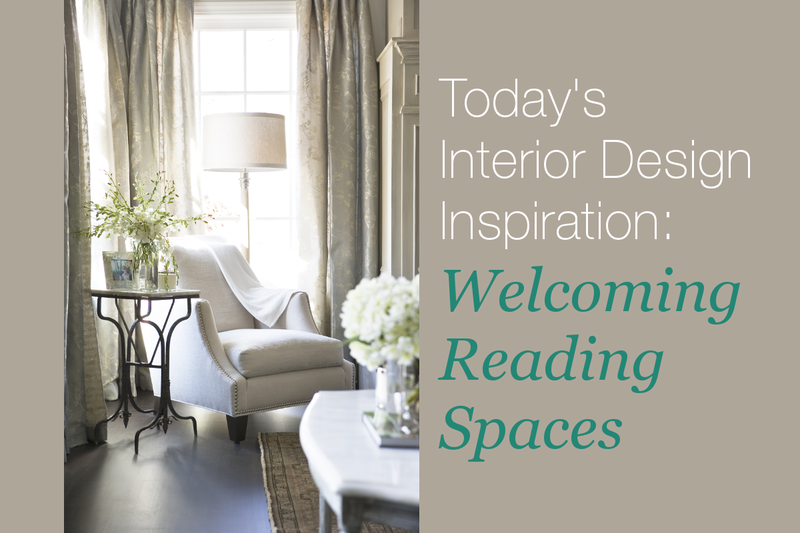 Deciding where in your design you want to include your reading spot all depends on how you like to use your reading space. If you enjoy sharing a space with your loved ones and being a part of the action while doing some light reading, designating an out-of-the-way corner of your living room can be an excellent spot to take in a few light stories while keeping an eye on your family's activities. If, instead, you prefer a quiet space away from the hustle and bustle of your home, a spot in a study or on a porch can make your reading space a tranquil escape from daily activities. Finally, if you save most of your reading for just before bed, creating one of these spaces in your bedroom can allow you to wind down in your bedroom without sacrificing your bed or nightstand to books. The photo on the left features one of these bedroom spaces. This client even included a bookcase in their design to display and hold all of their favorite novels. Paying close attention to these four elements can help you create an inviting space for reading. 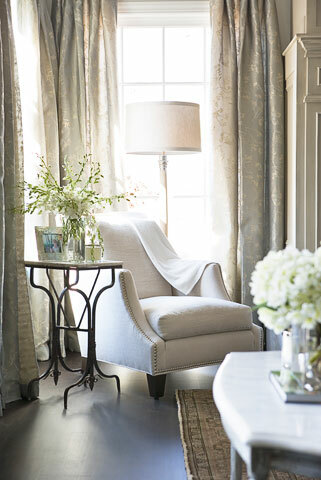 We hope some of these looks serve as inspiration for a cozy reading spot in your home. What is your must-have in a reading space? For more help planning how you will use the spaces in your home, check out this guide.